Classic and long-running UK house label. Formerly owned and run by DJ/producer Dave Seaman, now owned and run by Tony Prince and Christine Prince and Susan McLintock at DMC Ltd. 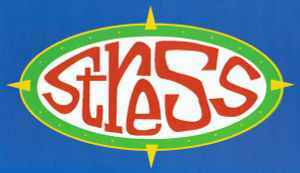 Stress was one of the biggest labels of the 1990's releasing tracks that largely defined the mid-1990's progressive house sound. Major label artists included Brothers Love Dubs, Full Intention, Chris & James, Sunday Club, and Last Rhythm. Most famously released the progressive house anthems Bedrock Feat. KYO - For What You Dream Of... and Last Rhythm - Last Rhythm.